I’ve been looking forward to Child of Light since I saw the trailer for a watercolour platform game, a surreal RPG adventure that promised to be the perfect combination of the fun of the first Rayman game and the beauty of Howl’s Moving Castle. From that first impression, Child of Light stood out as something different, and after many hours playing, it still stands out. The 2D platform element is nostalgic, and the poetics… (All characters in this game can rhyme… and they speak in riddles all the time…) make it an interactive, unusual, and ultimately a very witty storybook. I loved the concept, and the narrative of this story is both simple and compelling. In Ubisoft’s Child of Light, you play as child princess Aurora who wakes up to find herself in the lost fairy-tale world of Lemuria. To get home she must fight against the dark creatures of the Queen of the Night, and recover from her the stolen the sun, moon and stars. The fairytale plot has just enough darkness to give it a crucial element of danger, but is fine for the whole family. The atmosphere of the game is fantastic – the watercolour backdrops, the mythological characters and even the bordering-hypnotic background music contribute to an immersive experience. The game is structured in ordered chapters, although it does allow the freedom to float around to a certain extent. There are mini-quests set by many of Lemuria’s mythological inhabitants, chests to open, and secondary characters to recruit and level up. The allied characters form a team which rises to the frequent combat challenges that Child of Light offers. Combat is turn-based and victory depends on keeping your eye on the combat meter, timing strategies and arranging a line-up whose attack strengths are best designed to exploit the weakness of each enemy type. This will suit classic RPG fans but it took some getting used to for me, being an unnervingly fair combat system when I’ve become reliant on agility and button bashing to win my console battles. There is the option to play in co-op mode, and for Player 2 to play as Ignacius, Aurora’s little blue flying companion. Ignacius can help to solve puzzles, collect wishes and also takes part in battles by healing the team and inhibiting the enemy. One niggle I (and my Player 2) had was with the unequal role of this little blue sprite. His ghostly nature makes him immune to attack or even injury and so while Aurora travels between battles and settings he is left to drift in the foreground, not needing much active input. This makes him a great character for young children to play, but not so much for Player 2s who expect an equal role. 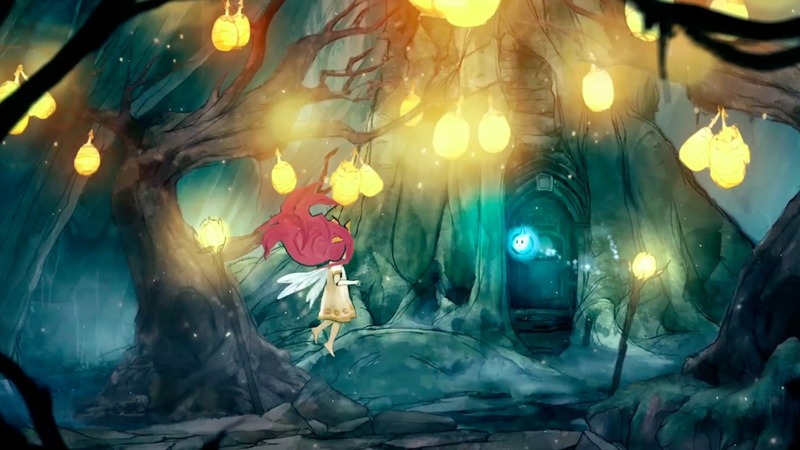 As a playable poem, Child of Light is an interesting story to follow, creative, ambitious, and a visual masterpiece. It was created by a small team of developers in Montreal using Ubisoft’s UbiArt Framework, a powerful engine that lets programmers and artists bring their art to life by allowing original concept art to be inserted directly into the game world. Ubisoft have achieved what I think they set out to achieve: to create an acquired taste. They’ve done something different, and that stands out. A return to the classic JRPG, Child of Light blends together platforming and turn-based combat along while providing a rich storyline, robust soundtrack and beautifully-rendered hand drawn art style. To create something unique is to accept that it won’t be loved by everyone, particularly people who like modern action games… and dislike poetry. 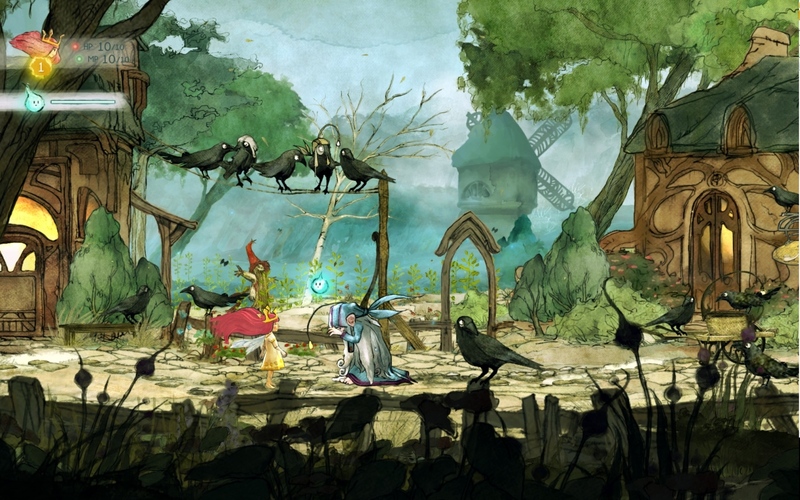 But Child of Light is a game that will delight fans of old-school RPGs. Jade Edwards was given free games by Brash Games in exchange for her reviews. As such all reviews belong to Brash Games and must not be reproduced under any circumstances. (© 2010 - 2017 All Rights Reserved).